Edmund Burke Whitman in Saint Louis, Missouri wrote to George L. Stearns regarding funds for the Free State cause. 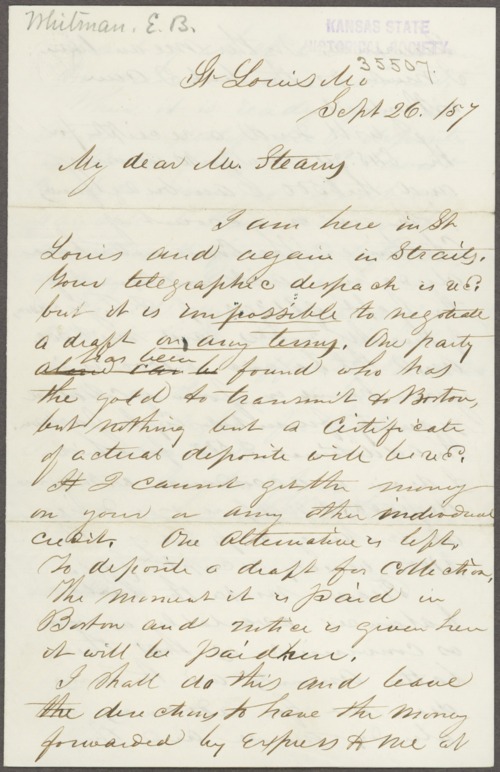 Whitman ended his letter by mentioning that if his advance of $500 to John Brown should become a financial burden to him, he would ask Stearns to compensate him for the amount he advanced. A searchable transcription is available by clicking "Text Version" below.